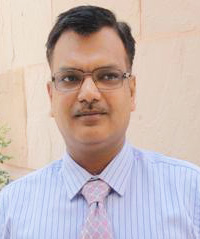 Dr Prateek Sharma Dean (Academic) The University since its inception has been striving to live up to its motto of ‘knowledge for sustainable development’ and has been offering academic programmes that are unique and have societal relevance in sync with its motto. The nature of the programmes is such that it’s imperative that the curricula be updated and reviewed at regular period programmes based on the inputs received from academic, industry, alumni and other stakeholders. 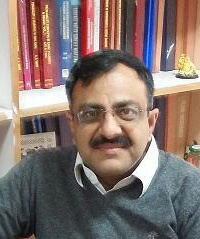 In continuation of this philosophy, a major programme review exercise was undertaken by the Department of Energy and Environment for the MTech (Renewable Energy Engineering and Management) and MSc (Climate Science and Policy); and Department of Regional Water Studies for the MTech (Water Science and Governance) and MSc (Water Science and Governance). Inputs were taken from industry, research institutions, academia, and alumni. A reshuffle in terms of relocation of few programmes was carried out in order to improve their mapping under the relevant Department. In this regard, MSc (Environmental Studies and Resource Management) and MSc (Climate Science and Policy) were relocated to the Department of Energy and Environment. The Department of Natural Resources continues to run the MSc (Geoinformatics) Programme. There are plans to develop Masters programme relevant to Department of Natural Resources in the near future. All the departments are committed to carry out teaching and research ensuring a multi- and interdisciplinary approach that is required to address complex sustainability issues that cut across disciplinary boundaries. The pedagogy integrates information and knowledge from different disciplines. Dr Arun Kansal Dean(Research and Relationships) Traditionally, higher education and research have encouraged specialization. While this reductionist approach has resulted in many important advances, it also has resulted in a 'silo effect' whereby the experts in one discipline fail to see the implications of their activities simply because those implications 'belong' to other disciplines. Ecological and environmental degradation and unsustainability human activities are some of the undesirable outcomes of such single-disciplinary thinking in the past. Addressing the challenges of achieving sustainable development requires a paradigm shift in research and education towards holistic method. The research and education programmes at TERI School of Advanced Studies are at the leading edge of this shift, which is taking place across the world. The programmes are a step towards overcoming the failure of traditional approaches to meet the challenges of sustainability. Interdisciplinary research by faculty and doctoral students is encouraged, practiced, and facilitated by variety of expertise available in the university and in TERI. The areas indicated here are broad divisions and doctoral students can work along the edges and across them, depending upon the specific problem and research questions.